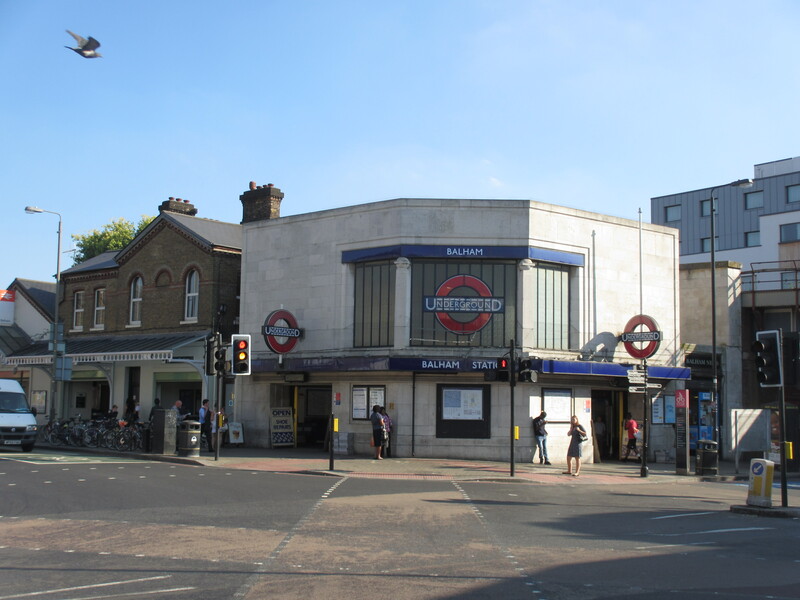 Architectural historian, Pevsner, says Balham was never a proper village, just a settlement on the road between Clapham and Tooting before it became absorbed in the growth of London in the 19th Century. There is really very little which predates the coming of the railway in 1863. But of course in many people’s minds Balham will always be “The Gateway to the South” which kind of sums up a place that does not seem to have much going for it. 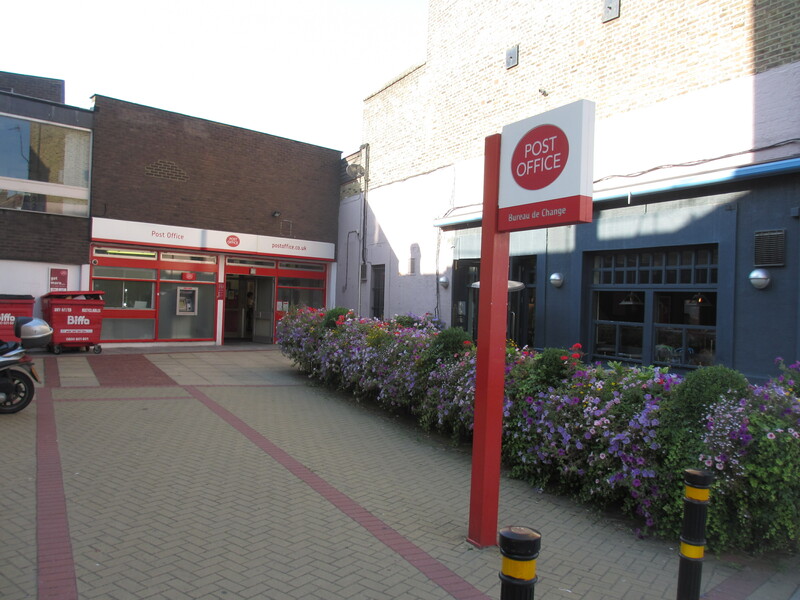 We start at Balham Post Office which is 92a Balham High Road. Unusually I am making the Post Office itself the first stop on this walk. Not because it is particularly beautiful or historic but because of its odd situation. It is a sixties building I would say and it sits some 10 metres back from the road in a little courtyard. Why? Well there was clearly a plan to widen the road. This is afterall one of the main radial routes out of London. 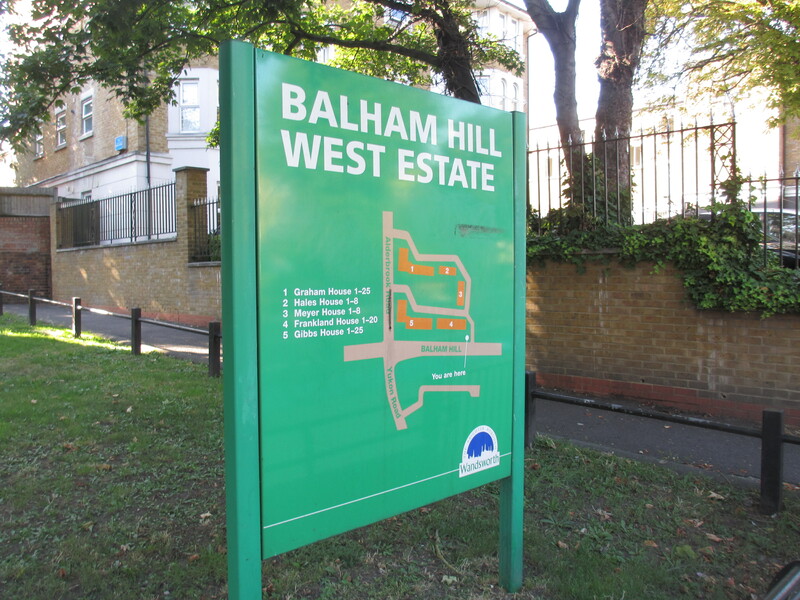 Bombing had done much of the clearance further up Balham Hill as we shall see later, and to get ahead of the game the Post Office was built far back on a new building line so it would not have to be knocked down when the road was widened. Well of course as you can see the road never got widened! Turn right out of the courtyard and at the traffic lights take the road which veers off to the left. This is Bedford Hill. After the Sainsbury’s car park, at the next set of lights, on the corner diagonal from the car park is our next stop. The Bedford is a live entertainment pub venue which has hosted the ‘Banana Cabaret’ comedy club for over 25 years. People such as Eddie Izzard, Jo Brand and Al Murray have appeared here. The building is extensive – the public areas spread over three floors with 5 bars and 5 function rooms. It was originally a hotel and back in 1876, the building housed the coroner’s inquest into the unsolved murder of local man Charles Bravo who was poisoned, possibly by his wife, although that was never proved. Turn right down Balham Station Road and on the wall holding up the main line station is the next thing we are going to look at. 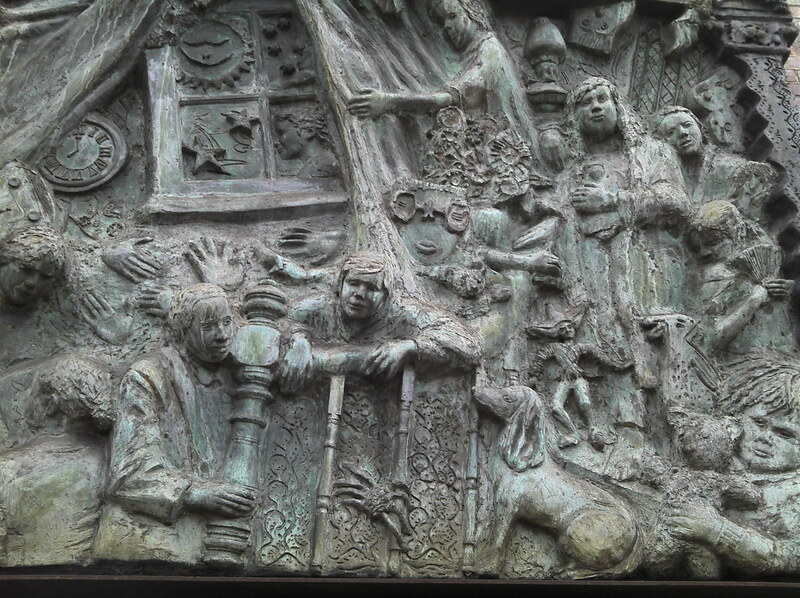 On the wall are four bronze resin reliefs called “Impressions of Balham” by artists Julia Barton and Christine Thomas (and apparently also the people of Balham). This was funded by Wandsworth Council and the Urban Programme in 1991. There should be a sign explaining what this is but I think it must have gone missing. 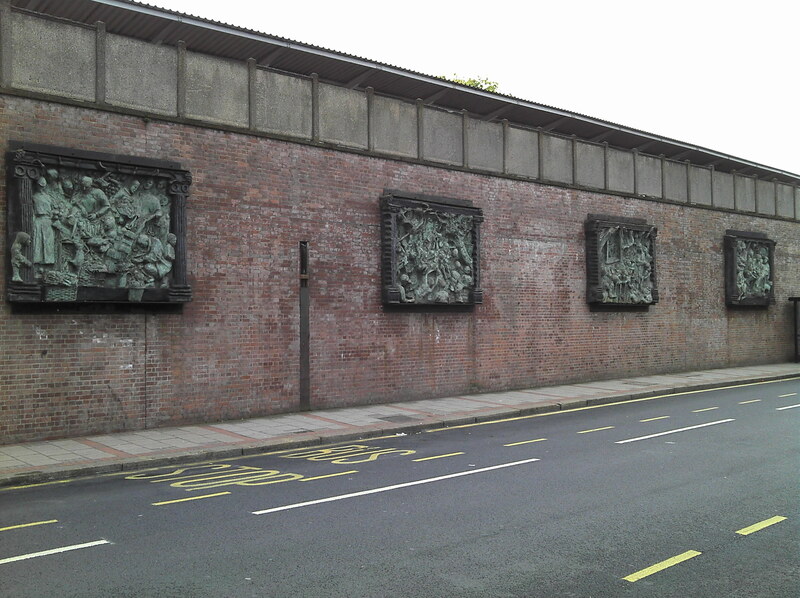 I could not see any information on the street about these reliefs. I am not sure they work very well, as they are quite hard to see. And it is hard to work out what is going on in each panel. 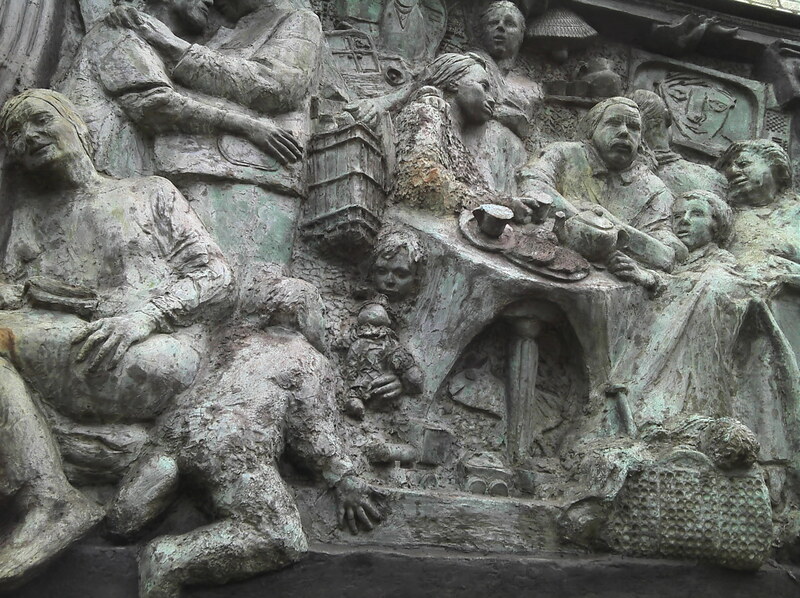 No doubt there is all sorts of local significance, but I can’t work it out! The station building now used by the Southern Railway dates from 1863, whilst the Underground station adjoining is a Charles Holden design dating from 1926. They are linked internally so you can interchange between the two stations without going outside but it is a bit of a trek as you are going from a station high on an embankment through two ticket halls separated by a staircase and then down an escalator to the deep level underground station. And of course it is worse going up! On 14 October 1940 a bomb penetrated 32 feet down, exploding in the cross passage between the two Underground platforms. A bus later fell into the crater. Gas and water mains were ruptured and there was flooding which hampered the rescue effort There are some pictures on http://ww2today.com/14th-october-1940-disaster-at-balham-tube-station .Really amazing ones of the bus and the crater. 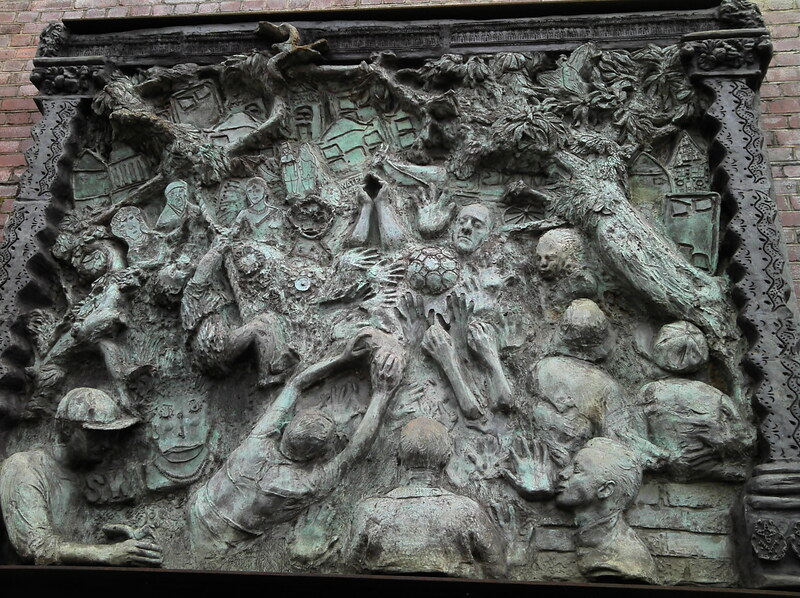 It is not absolutely agreed how many people were killed – the number varies between 64 and 68. 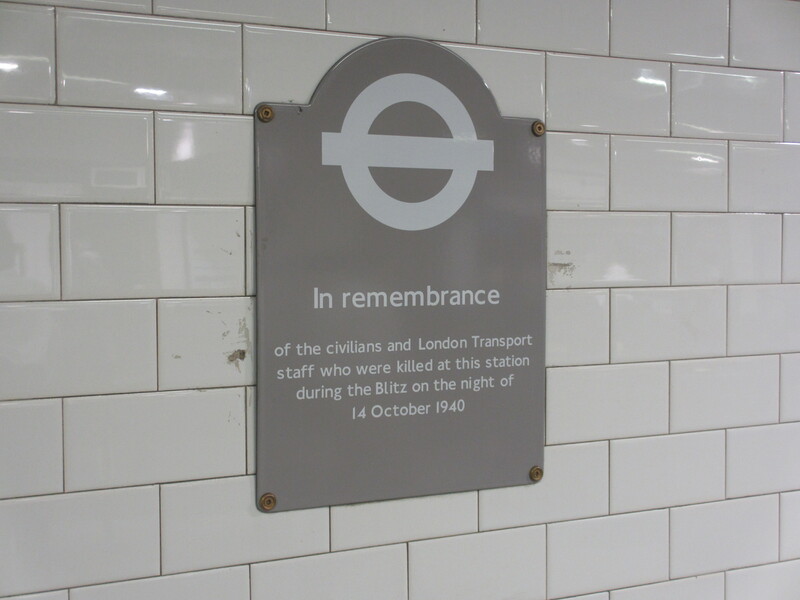 There is a remembrance plaque in the station ticket hall. The first plaque said there were 64 fatalities but this plaque was replaced in 2010 by the current one which gives no number. This incident provides a pivotal moment towards the end of Ian McEwan’s novel Atonement. The novel and the subsequent film date the event incorrectly, with the novel placing it in September 1940, and the film dating it as 15 October rather than the previous day. Now go turn left at the tube station entrance and go under the railway bridge. 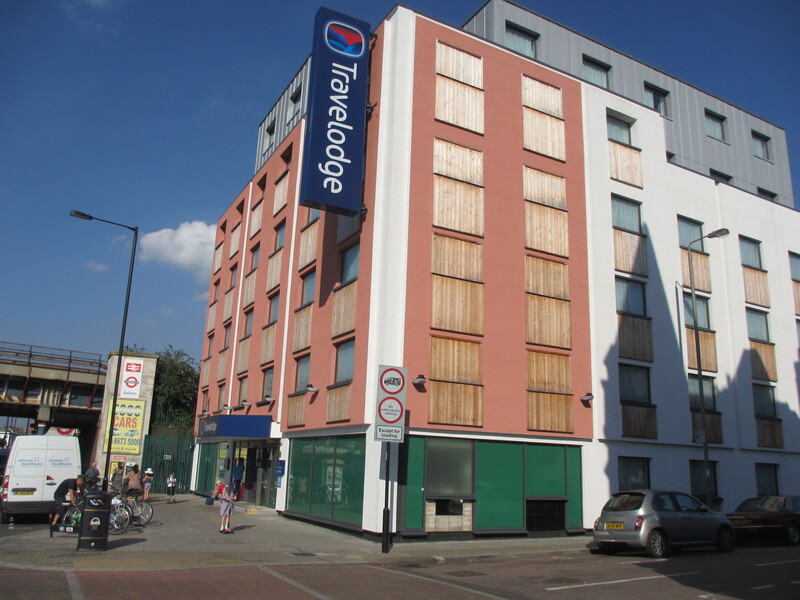 The first thing you see after the bridge is the Travelodge. 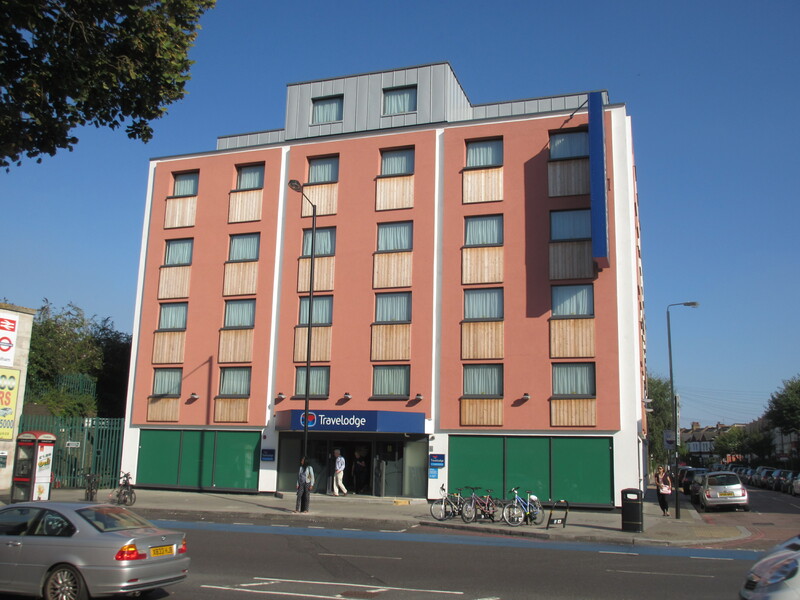 This is a fairly recent addition to Balham and is a rebuild of a dull looking office block called Steel House. But this is the site of the Palladium Cinema which had been demolished in the 1950’s. The cinema had opened in 1914 but was taken over by the Gaumont Company in 1928 and enlarged with a full stage facilities. The architect for this conversion was Cecil Massey. It was severely damaged by a bomb in 1940. Not sure if this was at the same time as the one that did the damage to the tube station, but it could not have been the same bomb. The pictures clearly show the crater for the bomb that hit the tube station as being on the north side of the railway bridge and we are now on the south side. The cinema never re-opened. 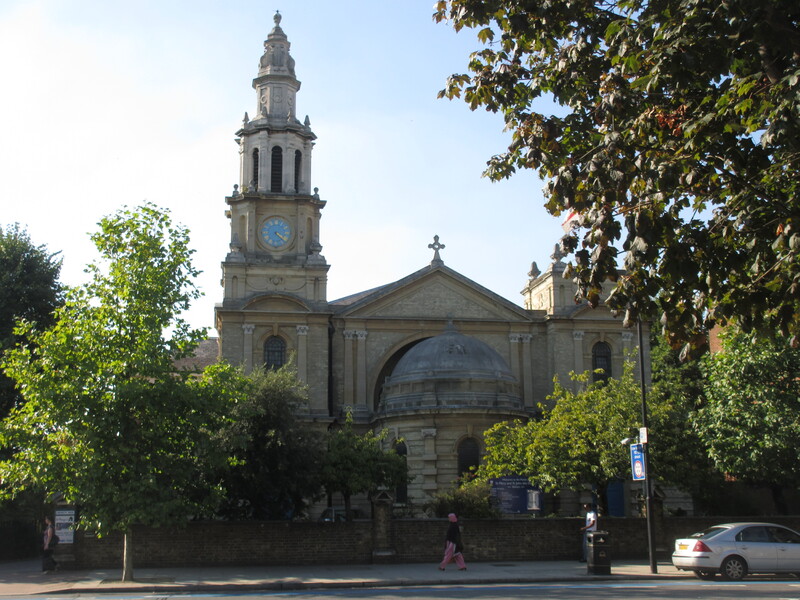 This church started as a chapel in 1805 and as the 19th century progressed got larger and grander. The facade we see today was only completed in 1903. The interior has lavish marble and mosaic decoration dating from the 1890s. 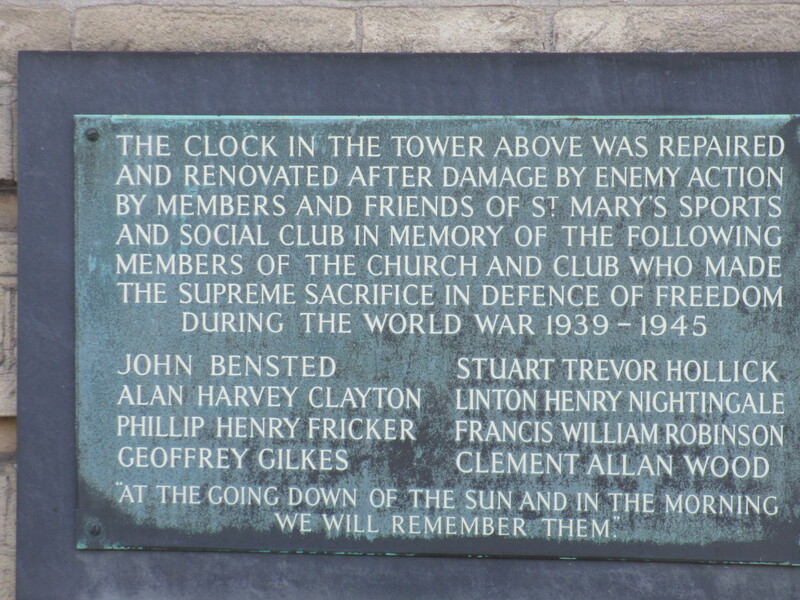 This too was affected by wartime bombing and there is a little plaque at the front to say the clock in the tower was repaired by members and friends of the St Mary’s Sports and Social Club in memory of church and club members who lost their lives in the war. 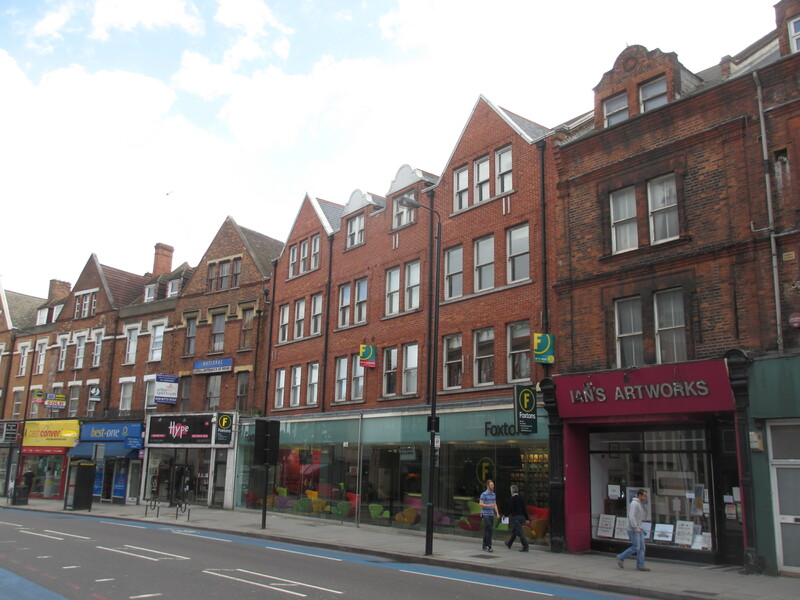 Keep walking along Balham High Road and across the road you will see a massive block of flats. 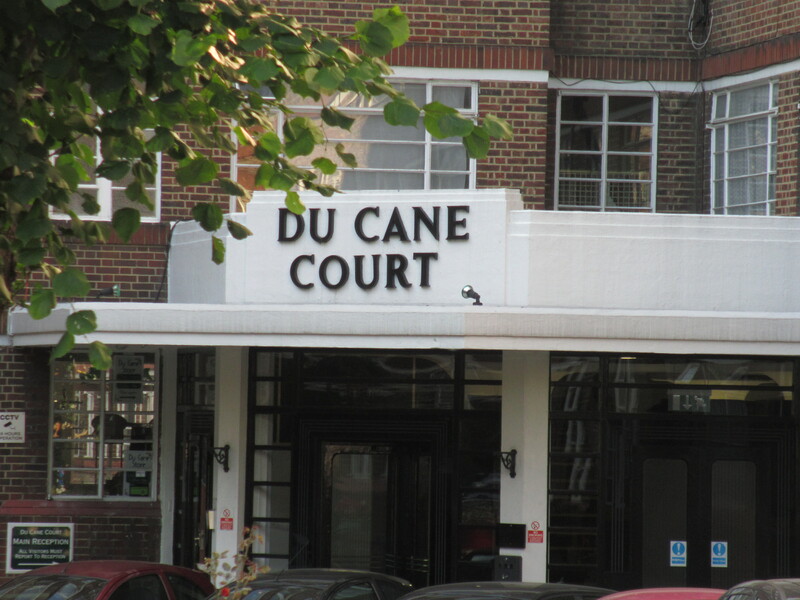 This technically is in SW17 but most people think of Du Cane Court as being in Balham so I am including it here with our SW12 walk. 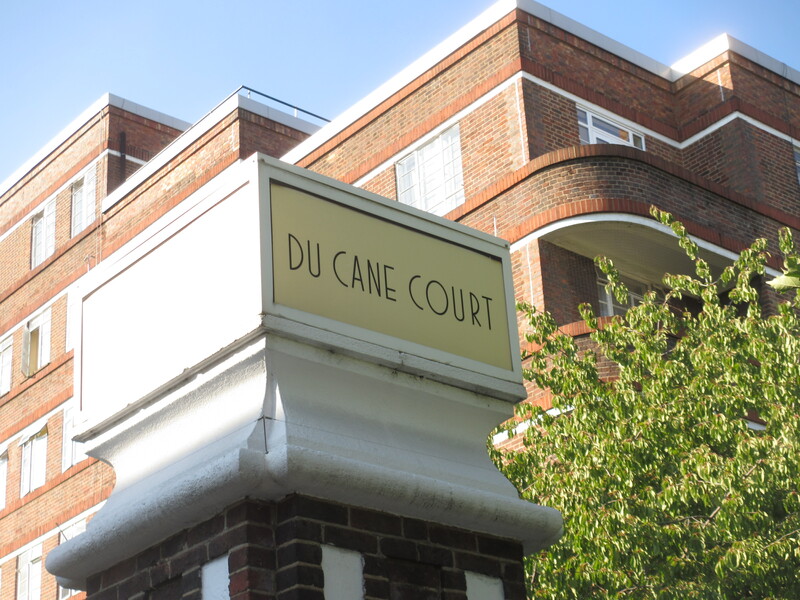 Du Cane Court is said to be the largest block of flats in Europe built for private occupation rather than as social housing. It has 676 flats which range from studios up to 4-bedroom flats. 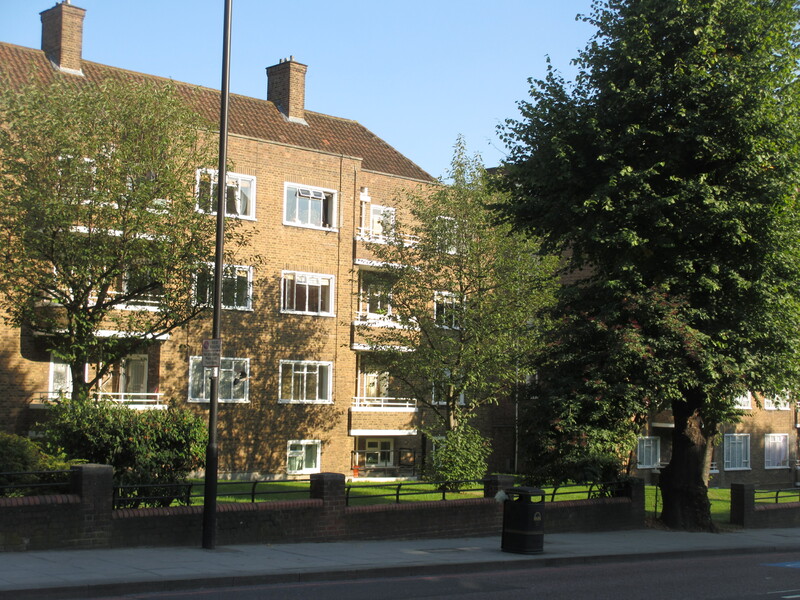 The block has had a number of notable residents, including comedian Tommy Trinder, actress Dame Margaret Rutherford, model/showgirl Christine Keeler, and, currently, comedian and writer Arthur Smith. Scenes for the TV series Poirot have been filmed here, and you can see why. Retrace you steps back up to the railway bridge and keep going on. On the left just before the market is our next stop. This is the site of a very old cinema. The Cinematograph Theatre was the fifteenth cinema in a chain founded by early cinema promoter Montagu A. Pyke. 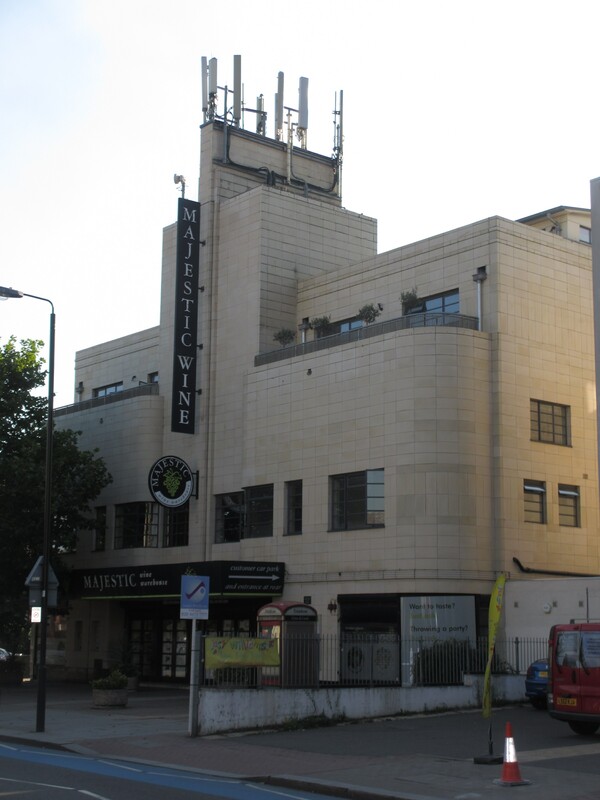 It opened in September 1911 It was re-named Picture House around 1916, and re-designed and enlarged in 1927. It was taken over by Associated British Cinemas (ABC) in 1933. In 1953, the frontage was demolished and a new facade was built. The cinema re-opened as the Ritz Cinema. The Ritz Cinema closed in 1968 and became a bingo club. Later Bollywood films were screened. The Bingo and Asian films use ended in the mid-1980’s and the building was demolished in the Summer of 1985. Now as you can see it is a shop. Keep walking up the main road, past Waitrose and stop opposite Foxton’s Estate Agents. 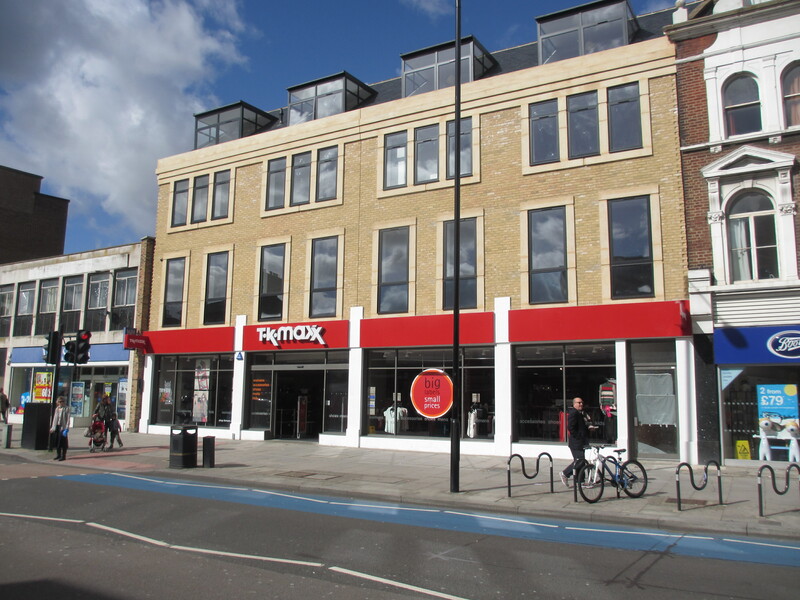 There is just a branch of Foxtons Estate Agents at No 75 Balham High Road now, but this was once a building which variously had been a swimming pool, concert hall, theatre and cinema. It started life as the The Swimming Baths Concert Hall in 1890, with a swimming pool under the wooden concert hall floor. It only had a narrow entrance on the High Road and the auditorium was behind. In 1907, it was renamed the Balham Empire Theatre showing films and it is said this is one of the first theatres to go over full time to showing films. It had several changes of name: Theatre De Luxe (1909), the Olympia (1915) and the Pavilion (1922). In 1928 it was over by Gaumont Theatres and eventually re-named Gaumont in 1949. It closed in 1960 and became a Bingo Club, It was demolished in 1974 and used as car sales space. Subsequently a new building was built on the site which kind of blends into the facades on each side. Keep walking along the main road. 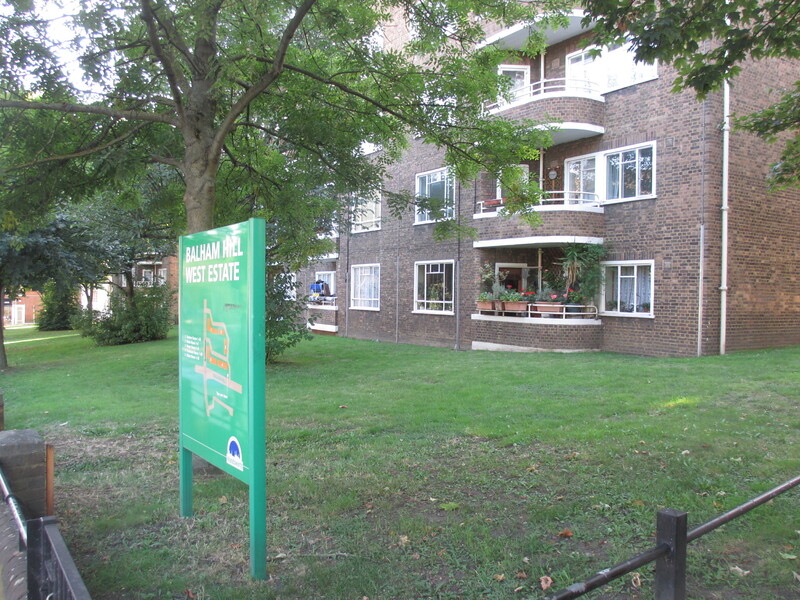 As we go up Balham Hill on either side of the road is a post war estate of flats called the Balham Hill Estate. Somewhere on the left hand side was the site of the Balham Hippodrome, Opened as the Royal Duchess Theatre in 1899. It had a Beaux-Arts style exterior topped by a huge copper dome under a cupola with a Classical winged figure. It had 1,268 seats and was designed by W.G.R. Sprague. In 1903, it was named Duchess Palace Theatre and films were screened from 1908. In 1909, it was re-named Balham Hippodrome Theatre, and was a full time cinema until 1915 but then reverted back to variety. It was bombed in the Second World War and was closed. It was demolished in the 1960s. 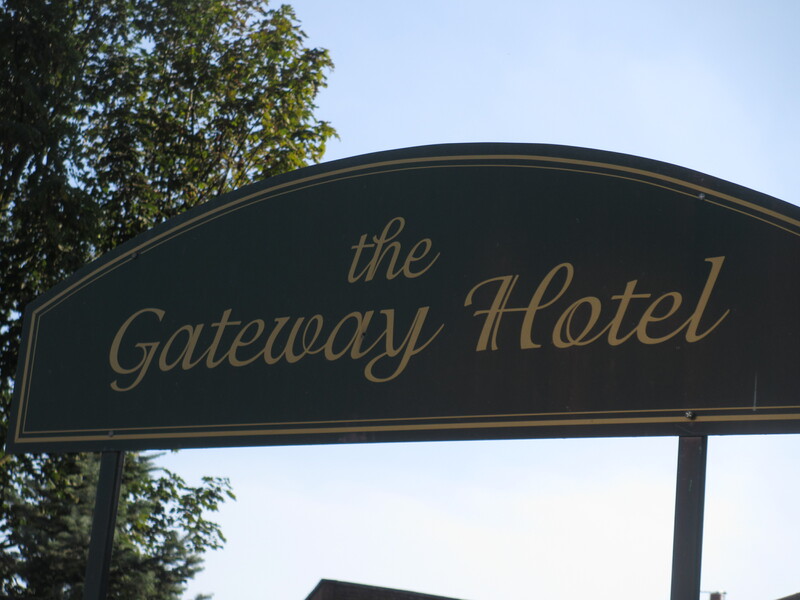 Moving on up the Hill we pass the Gateway Hotel on the left. Wonder if their guests know the significance of the name. The hotel markets itself as being in Clapham, presumably because Clapham South tube is closest. This is one of the distinctive Odeon cinemas. 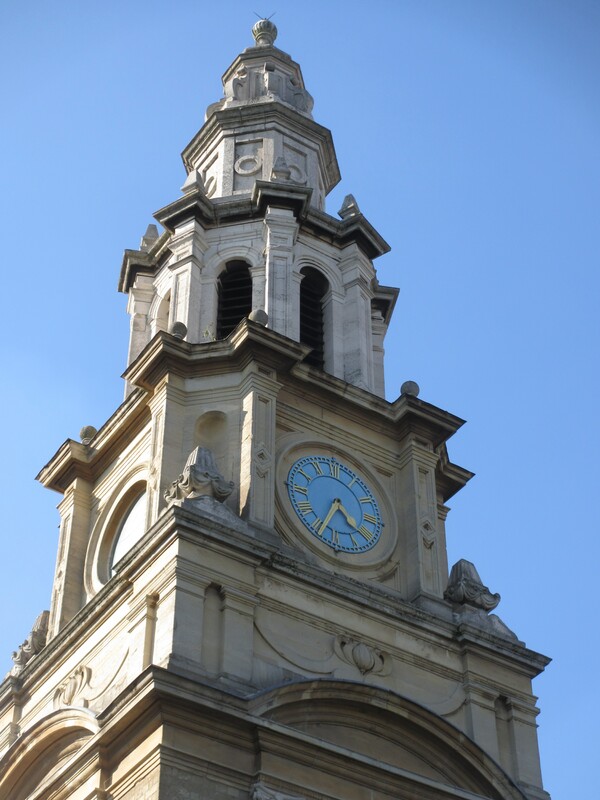 Built in 1938, it has that unmistakable Odeon style with those creamy tiles and the tower. It survived as an Odeon cinema until 1972. From 1974 to 1979 it was a cinema showing asian films, called the Liberty. 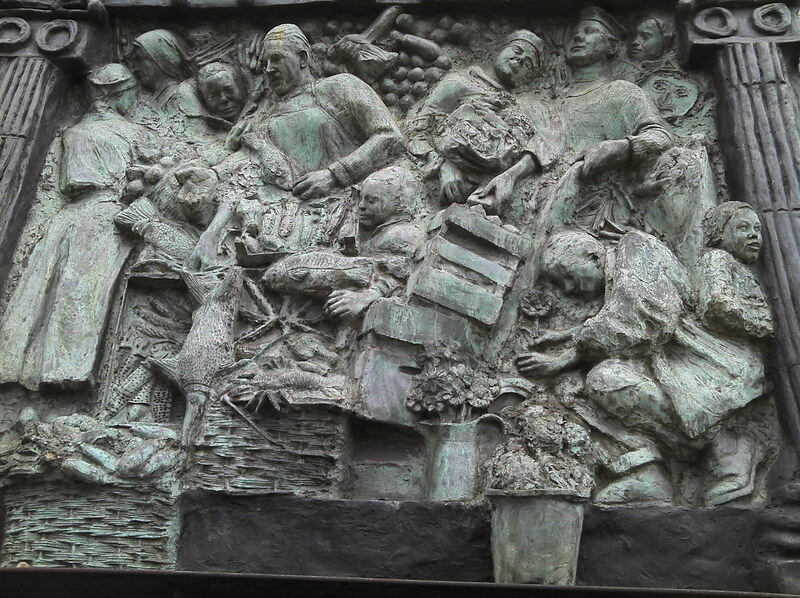 Then in the early 1980s the auditorium was demolished for flats, but the facade and front section was retained and became one of the first Majestic Wine Warehouses. Interesting Majestic call this their Clapham branch. For most of its life this was the Odeon Balham, which is technically right as it is in Balham Hill, SW12, but it is so close to Clapham South station. Shame that this wonderful facade is spoilt by all those mobile phone masts sticking out. This entry was posted in SW post codes and tagged du cane court, London, London Underground, peter sellers, walks by Stephen. Bookmark the permalink. In your reference to “Balham: Gateway to the South” you mention that when originally broadcast it was Robert Beatty who extolled its wonders. According to https://www.bbc.com/news/entertainment-arts-36975138 Sellers didn’t provide all the voices but did narrate it. Well I do not claim to cover everything in a postcode. And I think the Polish club and church are in SW17 anyway, even though it feels like they are in Balham. AH – dear fond memories!! 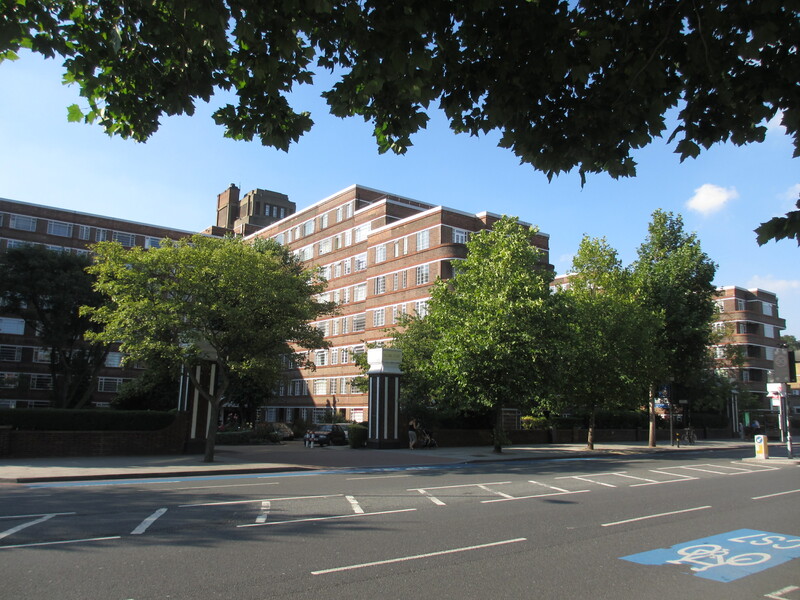 Will you pop around into Nightingale Lane and the wonders that await there – the Catholic School (if still there) – the horrid Police House – Hightrees House …. 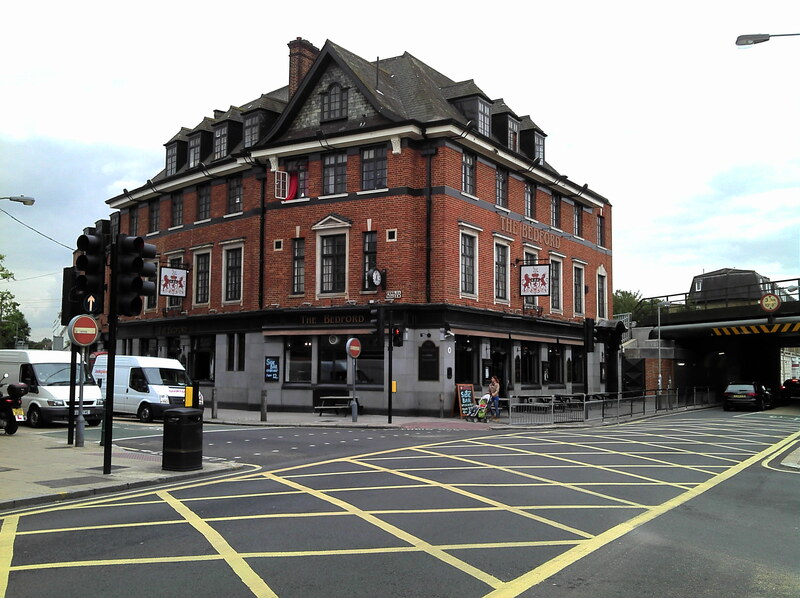 And of course, the Nightingale pub, but sadly even in a small postcode like SW12, you can’t fit everything in!